Toni joined DFS in 2016 to lead all marketing operations, including responsibility for customer insight and direct marketing development. 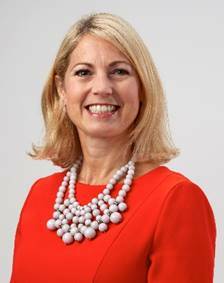 Prior to joining DFS, Toni was at Whitbread plc where she was Global Brand and Digital Director for Costa Coffee. In addition to her broad marketing expertise, Toni also has extensive experience of category management, retail operations and innovation gained through senior roles at Jordans Ryvita, Gillette, P&G, Britvic and Sainsbury. Toni has a BA (Hons) in Retail Marketing from Manchester Metropolitan University and Diplomas in Digital Marketing from the Charted Institute of Marketing and in Business Administration and Management from the University of Nottingham. Toni is also a CIM fellow and a member of ISBA Excom.